The tale of the 41st is an interesting one. 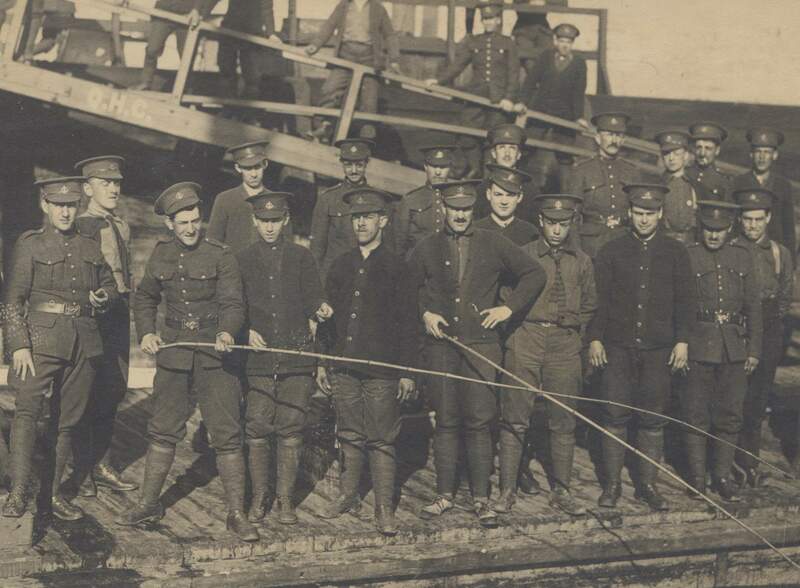 In February 1915 the second French-speaking battalion in the Canadian Expeditionary Force was formed, to follow in the footsteps of the renowned 22nd Battalion (the Van Doos). The 41st Battalion was first headquartered at the Citadel in Québec City, but by June 1915 had moved to Valcartier for training. 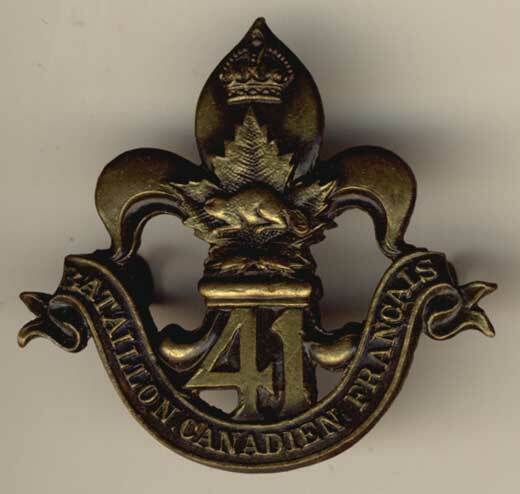 The recruiting pool of the 41st was to be the working men of Montréal and Hull. In reality, recruiting for the 22nd had already taken the best Québecois. For the second contingent, pressure from prominent Montrealers caused the formation of the French Canadian Battalion (the 22nd), along with 8th General Hospital. At least a dozen more French-speaking battalions were formed (including the 41st, 57th, 69th, etc.) Competition was stiff, with poaching of men rampant. As Morton says, "popular legend to the contrary, even the 22nd Btn had not been rapidly recruited. It took months before the necessary men had been found and the CO had to ask that his unit be transferred ... to Nova Scotia to slow the counter-flow of desertions. Other battalions had to be raided for reinforcements before the 22nd could go overseas." Do you know these men, or any others from the 41st? Please get in touch.